Today I'm reposting some thoughts my friend Lane Widick shared on his blog about the passing of long-time ESPN Sportscenter anchor, Stuart Scott on Saturday night. Its a great testament to who he was when you read all of the celebrities, athletes, politicians, etc. who went to Twitter today and wrote their farewells. You can read some of them by going here: ESPN Stuart Scott Farewells. 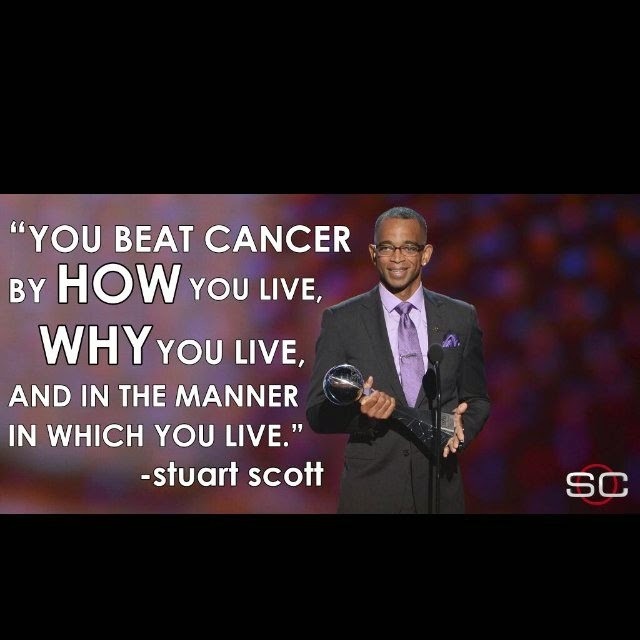 And if you really want to shed some tears... here's the video of Stuart Scott speaking at the 2014 ESPY's earlier in July.